"He who has a why to live for can bear almost any how"
Well here's a book that you find rarely in hands of readers. Why!! well it's not a novel ,it's not fun story. It's a account of author life story . It's the story of his struggle in Nazi concentration camps. The struggle to live in most harsh situations ,living through the atrocities by Nazi soldiers and lot more. It may sound like this book is saddening but it is meant to describe that how a man can still have that hope to live when people suicide to prevent their souls and suffering. We all are aware of Nazi camps stories , this is the person who lived and went through all these sufferings. After the account of his Nazi camps the author has written about his life after Nazi camps . The author is narrating his story and events throughout the book. He describes his life before ,during and after Nazi camps . 3. The case of Tragic Optimism . Every section will teach you a lot. It's not study but is life study. You never know you may find your life-meaning too. in courage in difficult times. Logotherapy : it is a meaning centered psychotherapy . More description i given in book . Now don't be judgmental this book .This book how people survived and how they sustained their will . So at least next time when you try to find meaning for your life or say that there's nothing left.You can always find a reason to live. 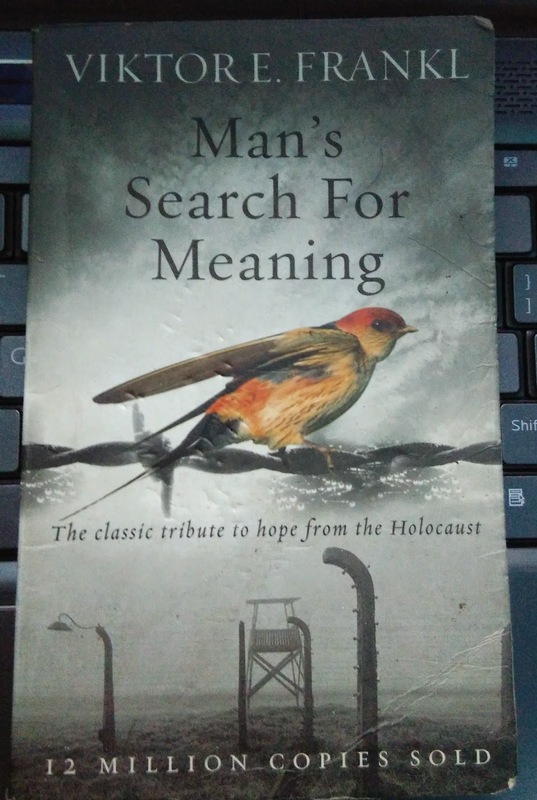 Reading Advice : Only for People who are searching for meaning in their life,It's not novel and may seem boring for fun lovers .This is serious account of a Nazi Concentration Camp survivor. Very good Read :) .